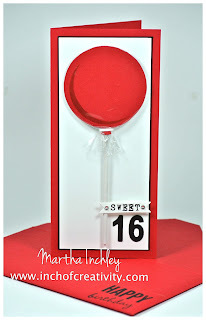 Inch of Creativity: Creation Station Blog Hop: Birthdays! 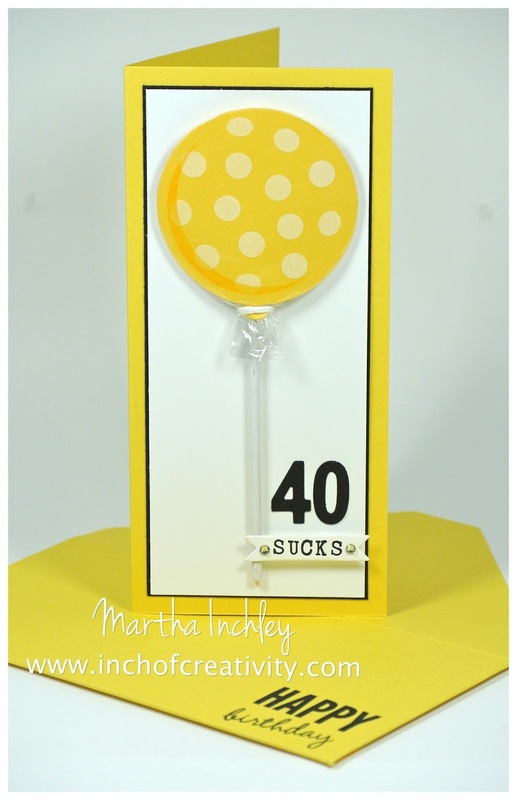 Creation Station Blog Hop: Birthdays! 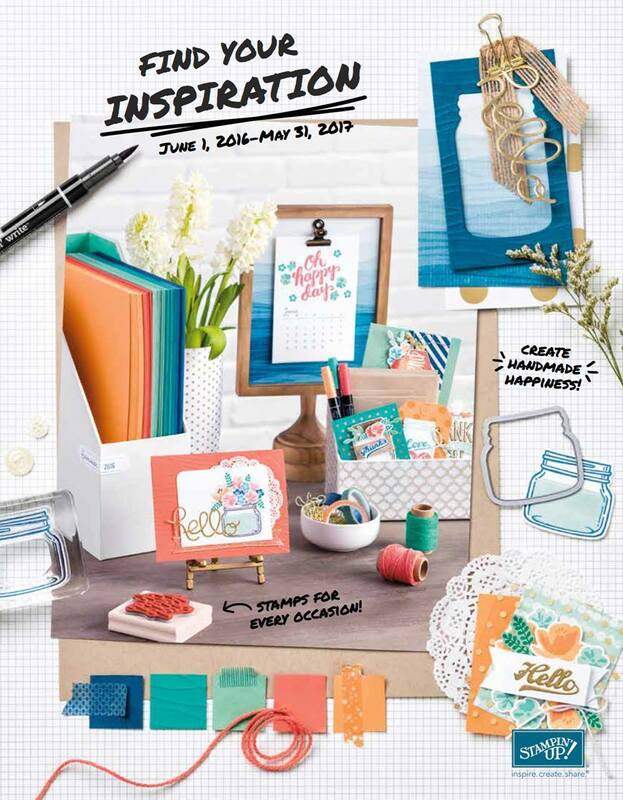 Hello and welcome to another Creation Station Blog Hop! We hop every 1st and 3rd Sunday of the month. 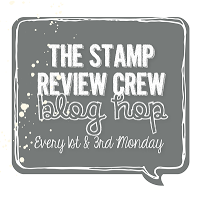 If you're already hopping, then you just came from the talented Jennifer Downey's blog. If you're just stopping in, No problem! Start here and hop on through, following the Creation Station's buttons! 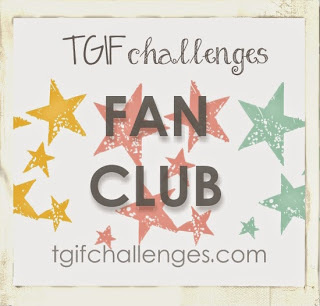 So this week, I was able to include all 3 guidelines. Birthday theme - check. Celebrate Today - Check. Envelope Punch Board - check! Fun!?! Check, check check! I wanted bright candy colours, so I pulled out Real Red, Pacific Point, Cucumber Crush and Daffodil Delight cardstock. 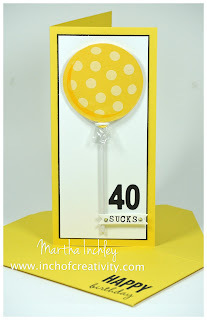 On some of my Lollipops I stamped whisper white polkadots, However, I wasn't sure if they still looked like candy with them, so on the others, I just added a shadow crescent (self-made template, sponge daubers and coordinating ink). To cover my "Lollipop" I used our clear envelopes. 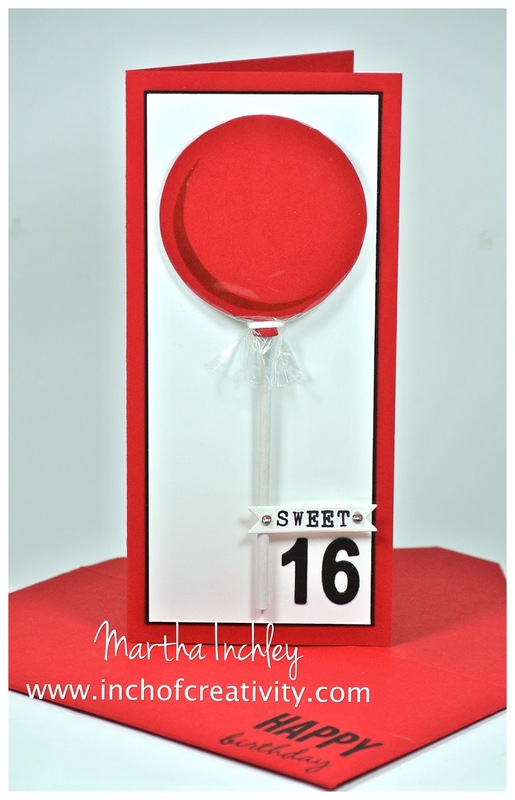 You can cover 3 lollipops with one envelope. I layered it over top and stuck it down on the back. I gathered the rest at the bottom and tied it with White Baker's Twine. The sticks are craft sticks that I found at the dollar store and I painted them white. Now, what to do with these lollipops… Lol. My original thought didn't work out, so a card it was! 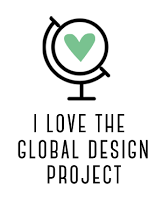 I tried a whole bunch of different designs but everything I did, took away from the lollipop. So I kept it clean and simple! - Have a sweet birthday! What would you have put? These are adorable! Thanks for the inspiration!